NASHVILLE, Tenn.—August 15th, 2016—The Gaither Music Group and Spring Hill Music Group rosters of artists were honored with 18 2016 GMA DOVE Award nominations across nine categories, according to the press conference held on Wednesday in the Shamblin Theater at Lipscomb University in Nashville, Tennessee. GRAMMY®-nominated, husband-and-wife duo Joey+Rory have been nominated for four 2016 GMA DOVE Awards including Bluegrass/Country Album of the Year (Hymns That Are Important to Us), Country Recorded Song of the Year (“He Touched Me”), Bluegrass Recorded Song of the Year (“I’ll Fly Away”) and Long Form Video of the Year (Hymns That Are Important to Us). 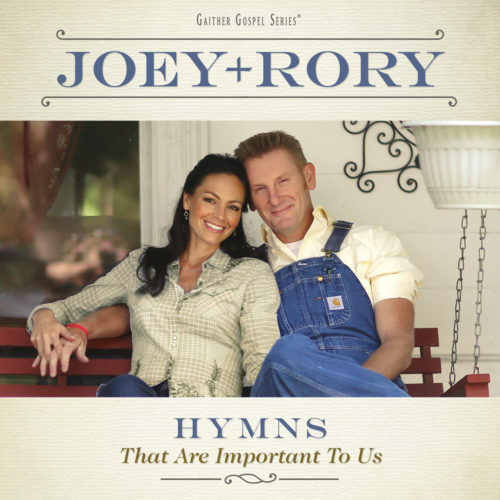 Named a Rolling Stone Country Album to Watch for 2016, Hymns That Are Important to Us, produced by Rory Feek and Joe West (except “When I’m Gone,” Gary Paczosa), is currently the #2 Top-Selling Country Album for 2016 and is the first recording in nearly a decade to top both the Top Country and Top Christian Albums charts. The release debuted at #1 on the Country Music chart and remained in the Top 10 on that chart for 20 weeks. It was in the Top 10 on the Billboard Top 200 Chart for six weeks and is currently the 13th Top-Selling Album this year across all music genres. The video, which has reached gold status, held the #1 spot on the Music Video Sales chart for months. Creators and hosts of “The Joey+Rory Show,” on RFD-TV, which airs in 50 million households weekly, Joey+Rory’s everyday lives, relationship and music have been featured in recent months in People, “Entertainment Tonight,” ABC News, CBS News, CNN, Time, Entertainment Weekly, USA Today and more. 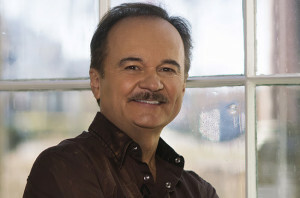 Country Music Hall of Famer and Statler Brothers member Jimmy Fortune received three DOVE nominations for Bluegrass/Country Album of the Year (Hits & Hymns), Country Recorded Song of the Year (“I Believe,” featuring The Whites) and Bluegrass Recorded Song of the Year (“Life’s Railway to Heaven,” featuring The Oak Ridge Boys). The star-studded project features collaborations with Vince Gill, The Oak Ridge Boys, Dailey & Vincent, Ricky Skaggs and others. A member of both the Country Music Hall of Fame and Gospel Music Hall of Fame, Fortune has been featured on a TV special, hosted by Bill Gaither, currently airing on various television networks and channels including RFD-TV, Dish TV, AT&T U-verse, DirecTV and more. Gospel Music Hall of Fame members and GRAMMY® Award winners the Gaither Vocal Band are nominated for Southern Gospel Artist of the Year and Southern Gospel Song of the Year for “Jesus Gave Me Water” from their highly acclaimed Sometimes It Takes a Mountain recording, produced by group members Bill Gaither and David Phelps along with Ben Isaacs (Oak Ridge Boys, The Isaacs). “Jesus Gave Me Water” became a Top 10 national radio single while the recording hit #1 on the Southern Gospel sales chart according to Nielsen Soundscan and #6 on the Contemporary Christian Music sales chart. 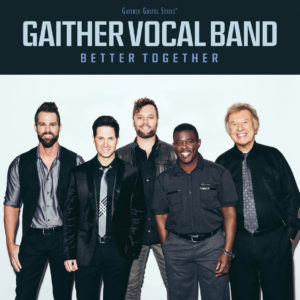 Also nominated for a 2015 GRAMMY® Award, the Gaither Vocal Band has garnered five GRAMMY® nominations, two GRAMMY® Awards and 17 GMA DOVE Awards to date. Two-time GRAMMY® nominees and multi-award-winning Jeff & Sheri Easter received nods for Bluegrass/Country Album of the Year for Small Town, Celebrating 30 Years of Music & Marriage (Spring Hill Music) as well as Country Recorded Song of the Year (“Small Town Someone (Lunch)”), written by Sheri Easter, Kenna Turner West and Jason Cox. The recording, produced by Jeff and Sheri Easter, Madison Easter and Greg Cole, features 11 songs, several of which were co-written by Sheri along with some of Nashville’s most noted songwriters. “Small Town Someone (Lunch)” is currently the No. 1 single on The Singing News national radio chart. 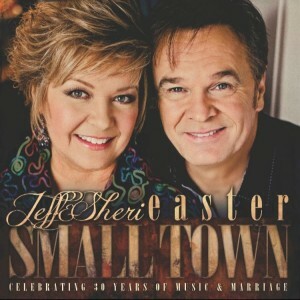 Jeff & Sheri are the recipients of six GMA DOVE Awards, 15 Singing News Fan Awards, three Society for the Preservation of Bluegrass Music Association Awards and two International Country Gospel Music Association honors. 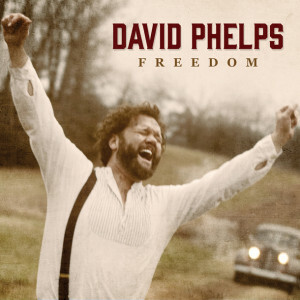 David Phelps is up for Inspirational Song of the Year for “Heaven’s Shore,” the recent Top 40 radio single from his current release, Freedom. Produced by Phelps and mentor/friend/gospel music legend Bill Gaither, Freedom showcases Phelps’ talents as a singer, songwriter, arranger and producer. The GRAMMY®-nominated, classically trained tenor, also known as the tenor for the Gaither Vocal Band, has won two GRAMMY® Awards and four GMA DOVE Awards. GRAMMY® Award-winning singer/songwriter and comedian Mark Lowry has been nominated for Southern Gospel Album of the Year for How We Love (Spring Hill Music Group), an all-new, 11-song collection produced by Kevin Williams. The project includes guest appearances by Dailey & Vincent, Sisters, Jimmy and Sonya Isaacs Yeary and The Martins who join Mark for a four-part, a cappella rendition of the classic hymn “When I Survey the Wondrous Cross.” Known for bringing laughter to countless audiences worldwide, the GMA Hall of Famer shares his contemplative side with honest, redeeming messages through How We Love. 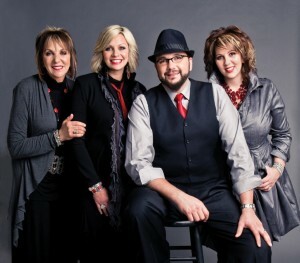 The Isaacs (Sonya Isaacs Yeary, Rebecca Isaacs Bowman, Ben Isaacs and Lily Isaacs) were honored with a nomination for Bluegrass Recorded Song of the Year for “Leave It All on the Altar,” which is featured on the group’s recent project, The Living Years, produced by Isaacs and Gaither. The multi-award-winning family group has received honors and nominations from organizations ranging from the International Bluegrass Music Association (IBMA) and the Inspirational Country Music (ICM) Awards to The Singing News Fan Awards. They have performed with legendary performers such as Dolly Parton, Trace Adkins, Brad Paisley, Paul Simon, Vince Gill, Merle Haggard, Randy Owen, Trisha Yearwood, Ralph Stanley, Mark Lowry and many more. 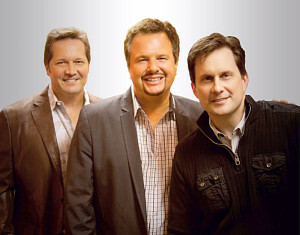 The award-winning, southern gospel mainstay trio the Booth Brothers received a nomination for Southern Gospel Album of the Year for Still, produced by Jason Webb, Lari Goss, Ronnie Booth, Michael Booth and Jim Brady. Known for their intricate three-part harmonies, the group has won over 45 Singing News Fan Awards and received three previous GMA DOVE nominations. Their current single “Dirt on My Hands” is in the Top 20 and climbing on the national radio chart. We Will Stand (Gaither Music Group/CCM United) is nominated for Special Event of the Year and Long Form Video of the Year. The DVD claimed the No. 1 position street week on Billboard’s Music Video chart and on the Christian Music Video chart, according to Nielsen Soundscan. In addition, the We Will Stand audio recording landed at #10 on the contemporary Christian music chart. A concert event dubbed “the greatest night in the history of contemporary Christian music” by its executive producer, Stan Moser, the recordings feature 30 of the most popular and awarded contemporary Christian music (CCM) artists of all time, who gathered for a-once-in-a-lifetime concert event to celebrate 40 years of history. The DVDs also capture some of the stories behind the music through interviews with Amy Grant, Michael W. Smith, Sandi Patty, Bill Gaither and others. Also nominated for Special Event of the Year is Let the Glory Come Down, which features newly-arranged renditions of some of the most popular gospel music songs performed by the renowned 500-voice Prestonwood Choir in Dallas along with Bill Gaither, David Phelps, Adam Crabb, Joyce Martin Sanders, Joy Gardner and other Gaither HOMECOMING artists. Featuring songs from the latest Gaither choir collection arranged by Geron Davis and Bradley Knight, this recording brings to life timeless messages with stirring vocal performances. The Gaither brand of artists and products topped the BILLBOARD Year-End Chart of Music Video Sales Labels for 2000, 2011 and 2014. Gaither Music Group and Spring Hill Music Group projects are exclusively distributed by Capitol Christian Distribution and Universal Music.